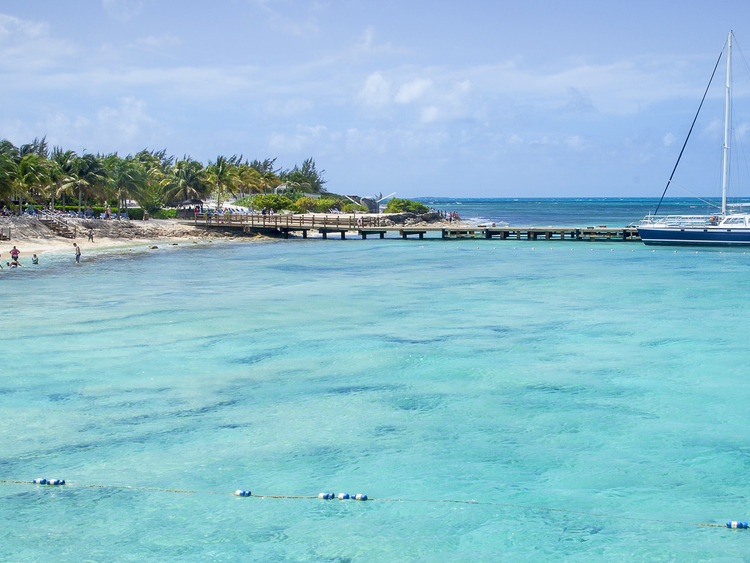 Driven by the trade winds and rocked by the gentle waves of the waters around Grand Turk, this excursion is a magical combination of spectacular sailing, white beaches and sensational snorkeling. At the cruise centre we board a lovely catamaran with a friendly crew at our service for the whole duration of the excursion. Our first stop is a heavenly secluded spot where we can go snorkeling to see the coral reef populated by Caribbean fish. A delicious drink is served by the crew of the catamaran as we sail along the Grand Turk coastline, which is famous for the splashdown of the Friendship 7 space capsule in 1962, in the direction of the second and last stop of our tour, a small private beach. All we have to do is relax and fall under the spell of this wonderful paradise. We can continue to relax and let the crew spoil us when we get back on board for our return journey to the cruise centre. The catamaran crew will provide information in English. Guests must be in good physical health and good swimmers in order to participate in this tour. ?We recommend wearing comfortable shoes and putting on your swimsuit under clothing. Snorkels, masks, flippers, life jackets and floats will be provided. You will need to swim in the water and be comfortable not being able to touch the sea bottom to get to the beach.